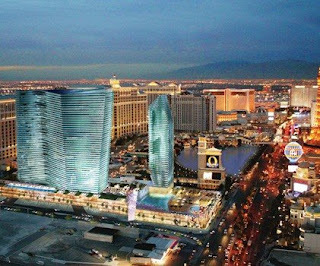 I’ve previously written on the flurry of trademark infringement lawsuits filed by 3700 Associates, LLC (“3700 Associates”) – the developer of the troubled Cosmopolitan Resort & Casino in Las Vegas – against various named defendants (link here), including one prior post (link here) discussing reverse cybersquatting claims against 3700 Associates arising from one of its first cybersquatting lawsuits filed in Nevada which was dismissed for lack of jurisdiction, but subsequently refiled in Florida. Earlier this year, 3700 Associates found itself in some financial troubles with respect to its $3 billion project (part of the Las Vegas condo-hotel craze that has fallen victim to the nationwide downturn in the housing marker along with rising construction costs and tighter credit markets). See articles here and here regarding the notice of loan default delivered by Deutsche Bank AG on January 16, 2008, on the bank’s $760 million construction loan to 3700 Associates, the construction developer of the Cosmopolitan Resort & Casino, and the attempts by 3700 Associates to find new investors in a credit market that has become incredibly tight. Even before 3700 Associates’ default, most observers knew that the Cosmopolitan project was on shaky ground, which is why I often wondered why 3700 Associates was putting so much time and money into aggressively pursuing these trademark infringement lawsuits (mostly over domain names incorporating the word cosmopolitan) when it would seem to need every single penny it can get. Well, 3700 Associates now finds itself on the defensive side of a trademark infringement lawsuit filed by Hearst Communications, Inc. (“HCI”), the publisher of the Cosmopolitan magazine and holder of several registrations for the mark COSMOPOLITAN. Reuters reported yesterday (link here) that HCI had filed a $500,000 trademark infringement lawsuit against 3700 Associates and Cosmo Senior Borrower LLC (likely the special purpose entity formed to be the actual owner of the Cosmopolitan Resort & Casino being developed by 3700 Associates) over the use of the name Cosmopolitan, which HCI claims is likely to cause consumers to believe that HCI is involved in developing or had licensed the Cosmopolitan name for the resort and is likely to dilute the distinctive quality of HCI’s famous Cosmopolitan mark. While the lawsuit may seem new, it appears to be a carryover of the Trademark Trial and Appeal Board oppositions that HCI filed against 3700 Associates over a year ago. See Hearst Communications, Inc. v. 3700 Associates, LLC, Opposition No. 91177407 (T.T.A.B. Filed May 21, 2007). In the consolidated opposition, HCI opposed several pending applications filed by 3700 Associates which contain the word COSMOPOLITAN, including THE COSMOPOLITAN BEACH CLUB and COSMO BEACH CLUB – all on the basis that registration of such marks will cause confusion in violation of Section 2(d) of the Trademark Act (15 USC §1052(d)) and will cause dilution of HCI’s famous marks under 43(c) of the Trademark Act (15 USC §1125(c)). HCI is seeking injunctive relief as well as an order to the PTO to deny 3700 Associates’ pending applications and to cancel any registered marks, including apparently the registrations that 3700 Associates currently has for THE COSMOPOLITAN RESORT & CASINO word mark and stylized variation thereof covering real estate services featuring condominiums and likely the still pending applications for THE COSMOPOLITAN RESORT & CASINO word mark and stylized variation thereof covering vacation time shares, casino services, and resort hotels (which have received notices of allowance and are awaiting Statements of Use). While one could characterize this is a case of 3700 Associates getting a taste of its own trademark infringement medicine, one does question why HCI waited so long to file this action. Where was HCI back in November 2004 when 3700 Associates first announced its intent to use the name? It is interesting (although perhaps coincidental) that HCI only sought to stop the use of the name Cosmopolitan after the project became financially unstable. Or perhaps HCI, seeing blood, decided to take this opportunity to kill 3700 Associates’ use of the name entirely – recognizing that it might not have a better opportunity to do so given that it had allowed 3700 Associates to use the name in promoting its project for so long.